Poet friend of mine and soon-to-be-blogger Jo Grigg mentioned she had been reading The Best British Poetry 2012 so I invited her to write about it here. It is Jo’s first guest blog post on Poetgal. 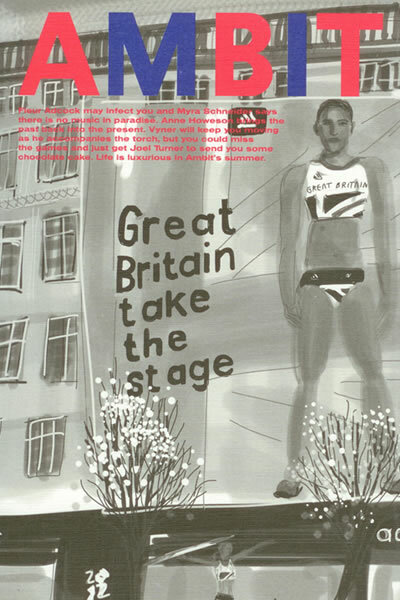 The second volume of this British version of a longstanding US anthology has now thundered through my letterbox. Hurrah! 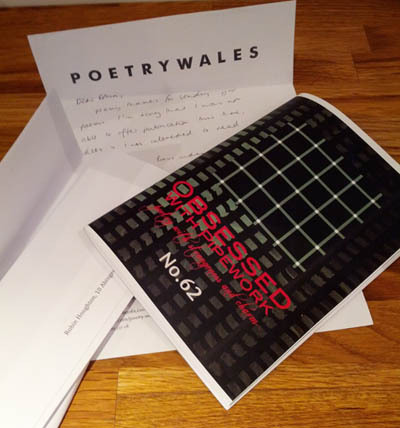 Its 70 poems are selected from the year’s UK poetry magazines. As with any anthology, how much you enjoy them depends on how much you have in common with the editor. This year’s is Sasha Dugdale and I’m enjoying many of them so far. Along with the poems come each poet’s remarks given in the second section of the book following a brief biog. Some of these remarks are enlightening about the writing process. Others are odd, which is (oddly) reassuring. In the US version you sometimes read ‘the poem should stand on its own without me having to explain it’. One of the reasons behind the anthology is to draw attention to poets who are not yet published in pamphlet or collection form, because the big prizes select mostly from published collections. There’s also a good showing of established poets. It demonstrates the variety within the poetry mag business, and draws attention to individual magazines. 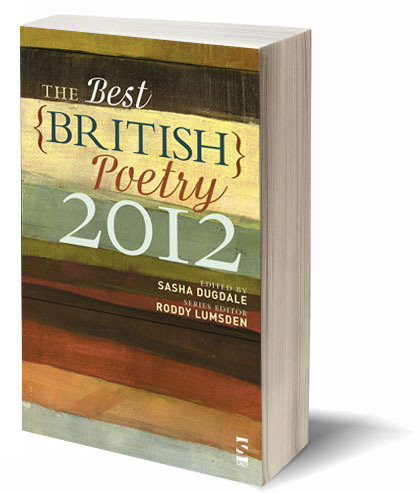 The Best British Poetry 2012, edited by Sasha Dugdale, series edited by Roddy Lumsden, published by Salt, 2012. Cover price £9.99. Here’s another review of this book from a very interesting literary magazine.